The Central Government’s Science and Technology Department has announced to Invite online applications for Kishore Vaigyanik Protsahan Yojana. As per the new recommendations made, the selected applicants are free to apply for the scientific research program organized by the Central government. The government has provided with online web portal services for candidates who wish to apply for registration under the scheme, checking with exam dates, eligibility criteria, application forms and checking with the syllabus. The new scheme is a type of aptitude testing scheme for new candidates. The government has stated that the scheme is open for any candidate to participate in the research program within the science and math faculty. The government has also announced that it shall be offering with provision where applicants can further check with the other details related to online application procedures, Syllabus download in PDF formats, eligibility status checking and exam dates verification. As per the government, the provision for checking all of the above mentioned details has been provided via online web portal services to the applicants. The details can be checked by the applicants for the academic year 2018 from the official web portal services. The government has also stated that the main aim of the above mentioned move is to help and identify the new students and talents within the country. The new move is also expected to motivate the applicants so they are able to offer with their contributions within the research sector and make their career. As per the new recommendations it is obvious that the applicants will be offered with fellowship grants in the form of Contingency and Generous grants so that they can complete the research up till Pre Ph.d Level. The grant shall be offered to the applicants for a time period of 5 years till completion. The government has also mentioned that each of the applicant registered under the program will also be entitled for attending and being a part of the summer training camps organized by the educational institutions for carrying out their research program. In order to be a part of the selected program it is obvious that each of the selected candidate should have to pass out the aptitude test. The government has also announced that the aptitude test will be carried out by the government in both Hindi and English languages for the candidates. The tests will be organized and screened by IIS (Indian Institute of science). The interested candidates are expected to fill in the online application forms before the last dates mentioned. One of the main eligibility criteria is that the program is opened only for Students who are pursuing education within India and are Indian by birth. The department has also mentioned that the benefit can be availed by students who are already opting regular education in various selected Indian schools and colleges. The scheme will also offer benefit to the students who are pursuing education in various science fields in grade 11th for current 2018-19 academic year. It is also important that these students should have secured a minimum of 75 percent marks in the last exam. The facility can also be availed by any student who belongs to the SC or ST category and has secured 65 percent minimum marks in math and science subjects for past 10th grade exam. The facility of the program will only be availed to the student who are planning to join for the UG program in any of the science subjects like BSc, Bsc Math, BSc stats, MS Int., MSc Int. for 2020 and 21 year. It is important these students will have to secure at least a minimum of 60 percent marks in the exam. SC and St students are offered with facility to secure 50 percent marks for applying after completing 12th grade exam. For students of chemistry, biology and math streams it is important for them to secure a minimum of 75 percent marks in the +2 exams. For students appearing from SC or ST quota it is important to have secured minimum of 65 percent of marks in +2 exams. Students who have participated for IGCSE exams are also eligible for applying under the program provided they have secured minimum of 75 percent for general category while for SC and ST category they should have secured minimum of 65 percent marks. All interested candidates who want to apply or get registered under the above mentioned program will have to get enrolled via online application form from the official web portal at the www.kvpy.iisc.ernet.in. Once logged in you will have to fill in all details asked on the form and make the submission. You can also collect more details of the online application form directly at the link http://kvpy.iisc.ernet.in/main/applications.htm. All candidates who are interested will have to get logged on to the official web portal at the link provided above. On the home page you will have to make selection of “2018 KVPY Online Application”. On the redirected window you have to go through the instructions mentioned and then apply for the Aptitude test for 2018-19. The Process will only be accepted once you have agreed to the terms and conditions on the web portal. Next you will be provided with your Log in User ID and PW that has to be used for logging in. You can also directly log on to the web portal at https://cdn.digialm.com/EForms/configuredHtml/956/56917/login.html. In case you are first time user, you will have to create your registration for the form. You can perform the task by directly visiting the link at https://cdn.digialm.com/EForms/configuredHtml/956/56917/Registration.html. On the redirected form you will have to provide with all details related to your information. For processing information you may have to make use of your created ID and PW. Once you have logged in you will have to fill in application form and submit fee online. You can now request for a hard copy of the form. Any candidate who wants to get registered under the program can make the deposit of the fee online itself. You can make fee payments via debit, credit card, ATM card or via net banking. For OBC or General category the fee is Rs 1000 while that for SC and ST category the fee is RS 500. Same is for PWD category as well. Applicants can also check with the complete list of the center via online web portal. The entire list for the 2018-19 has already been uploaded by the government. You can also check with the link directly at http://kvpy.iisc.ernet.in/main/applications.htm. In order to get selected for the fellowship program it is important for each of the applicant to have cleared the aptitude test with minimum passing marks. The aptitude test will be conducted by the authorities on the set dates for 2018-19. To qualify for the program it is obvious that the candidate will have to secure passing grades in both interview session and written test. 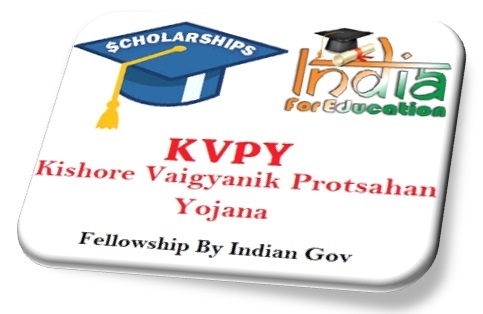 You can also collect more details related to fellowship program and aptitude test selection procedure directly at http://kvpy.iisc.ernet.in/main/fellowship.htm. As per the government all eligible candidates who might have appeared for the aptitude test and interview session are free to check with the results status online via official web portal. To check with the status for 2018-19 year you can directly visit the link at http://kvpy.iisc.ernet.in/main/results.htm. To apply for the program it is obvious that the candidates are expected to provide with a copy of their citizenship with the country. They can submit a copy of their birth certificates and school leaving certificates along. As the candidates have to provide with their 10th 11th and 12th grade exams details so they will have to submit a copy of their exam results along with pass certificates. They will have to make the submission of their caste certificates along with the application forms. The students are also expected to submit a copy of their admission receipt for the college or university they have selected for joining. They will have to make the submission of their fee deposited via the online mode for the application forms along with the forms and their passport sized photographs. With an aim to help the candidate ease the process of application, selection and status checking the government has also provided with FAQ section on the official web portal. You can check with various FAQs that have been provided on the web site. You can directly visit the link at http://kvpy.iisc.ernet.in/main/faq.htm and collect information related to aptitude test, procedure, test type, and syllabus details.